I’ve been really into gardening lately, trying to find the best techniques and methods for growing fruit or veggies with as little effort or resources as possible. One method that really caught my attention was the straw bale method, a method that is based on planting into straw bales rather than in the ground. You prepare the bales thoroughly and that’s pretty much it. It’s cheap, requires very little care as the method is not pretentious at all and another bonus is that the plants are raised above ground level, which puts them out of the reach of various critters that could take a liking in whatever it is you planted. And not only that, picking the plants will from the straw bales, will be a lot easier than picking them from the ground. The seemed perfect, but only until I stumbled across the alternative: the HAY bale gardening method, which made the straw bale method seem less appealing all of a sudden. For those of you who have very little to do with gardening, there is a major difference between the two. Straw bales are usually comprised of cereal crops stalks (corn, wheat, oat, rye, barley etc.). It’s mostly used for bedding livestock, and apart from carbon, it has no real nutritional value. It’s not inefficient as a surface for growing plants, but it will require regular watering and fertilizers to get the job done. Hay, on the other hand, it’s nothing but rich grasses that are mainly a source of rich and nutritious food for cattle during cold periods (winter time), when the fields are empty. They are filled with nutrients and minerals like nitrogen, potassium, phosphates etc. that vegetables require to grow. It’s exactly this natural cocktail of minerals and nutrients that require no additional fertilizing methods when it comes to hay bale gardening. Hay also holds water more efficiently than straw due to its density and chemical structure. So a hay bale garden requires watering once a day, whereas a straw bale garden will require watering 3 times a day. The first thing you’ll need to start your very own hay bale garden is getting your hands on hay bales. If you have nobody to turn to in your vicinity that could sell or give you the hay bales, you can always go on the internet and find farmers that have hay bales for sale. Once they’re delivered to you, pick a spot to your liking (preferably in your garden) and set them as you see fit. Next, you’ll need to prepare the hay bales for the planting process. What’ll you’ll need is some 42-0-0 or even better, some nitrogen. You’ll treat the bales with nitrogen for 5 days; the nitrogen will break down bacteria, fungi, and insects into nutritious compost that will serve as “fuel” for your growing plants. If you’re not that keen on spending money on nitrogen or fertilizers, you can just pee on the hay bales for the 5-day period; pee is rich in nitrogen and it’ll get the job done just as efficiently. However, the daily dose of pee a person produces will not be enough for this endeavor, so I suggest you start saving your pee in bottles or containers. The preparation of the bales will be done over a period of 10 days total before planting. In the uneven days, the bales will be treated with half-a-cup of nitrogen and sprayed with water. During the even days of the 10 day period, the bales will be watered only. 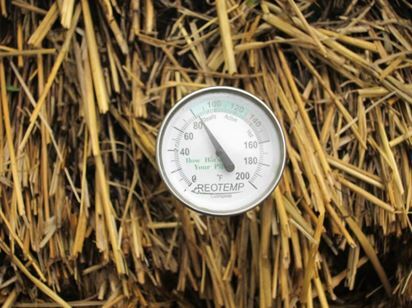 During this process, the temperature inside the hay bales will rise dramatically, most likely to 120°F – 140°F. Although is very unlikely that the bales will simply catch fire, the risk still exists. So water the bales regularly I order to avoid any unwanted incidents. When the “ordeal” is over, the temperature will subside, from how to warm. Once this happens, you can start planting your vegetables. Just add regular seeds, water the hay garden once a day and you’ll be able to pick the fruits of your labor in no time. 1. The bales should be tightly bound if you want them to hold. Synthetic twine works great and holds the hay bales together just fine during the growing season. 2. 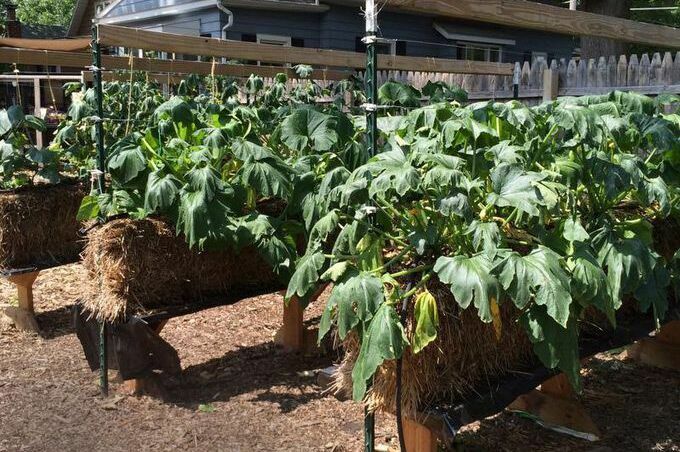 A single bale of hay will hold about two tomato plants, two pumpkin hill, 3 cauliflower plants or 3 broccoli plants; plants cover the same amount of space in the bales as they do in the ground. 3. Growing tall plants (sunflower, corn etc.) is not advised, as hay bales do not offer such plants the support they need. If you won’t provide these types of plants with a stacking system, they’ll most probably fall over. 4. You shouldn’t water the bales more than two times a day. There is no danger of drowning the plants because the water will evaporate quickly; the hay bales will not get drenched like soil would. This method is very interesting and it seems to give great results even for the rookies. You don’t need much to get started. Just a minimum investment and the willpower to get things done. If you’re looking for a cheap and fast alternative to gardening, look no further: hay bale gardening is the way. Planning and setting up your own survival garden is no easy task. It requires knowledge, precision and a bit of practice to get it done. But once you got the project going, doesn’t mean you can just let nature take care of everything while you relax and wait to pick the fruit of your labor. Mother Nature works both ways and that which creates can also destroy. Leaving things to chance is not an option, so you have to take your role as a farmer seriously and watch out for those pesky insects, that if left to their devices, can destroy everything you worked so hard for. It takes a bit of studying the phenomenon in order to understand it, so you can identify the type of pest you’re dealing with and what’s the best method to apply according to the amount of damage that has already been inflicted. If the infestation is light, picking the insects by hand should suffice, but if we’re talking heavy infestation, you’ll probably have to resort to insecticides. Next, I’m going to walk you through a list comprised of some of the most common garden pests and how to read the signs they leave behind. They are probably THE worst garden pest imaginable, as they have no preferences when it comes to garden vegetables; they simply go for everything that’s green. The easiest signs to read are visual: you know you’ve been attacked by aphids if you happen to find clusters of small, soft-bodied on buds and growth tips. Sticky secretions can also be found from place to place and leaves tend to get curly. 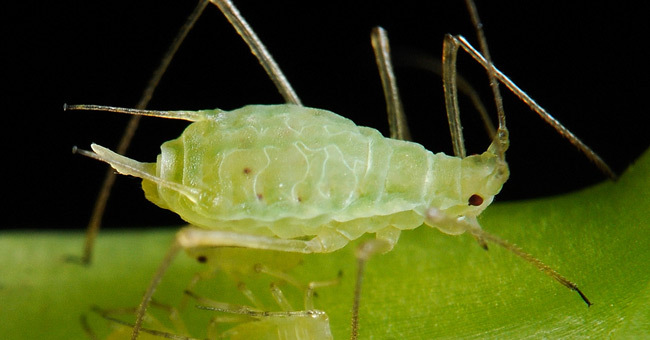 Aphids never invade in small numbers and it’s very unlikely hand-picking will do you any good. 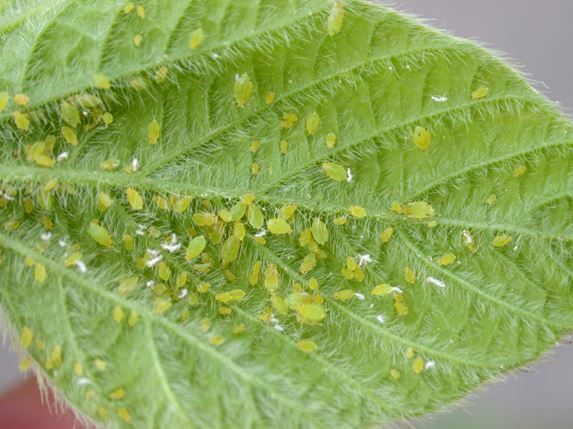 The best way to deal with them is to spray insecticidal soap or neem oil. There are also specialized poisons that can be sprayed directly on the vegetables, but I strongly advise you to consult a specialist before purchasing or using such products. They’re food of choice is usually cabbage, carrots, turnips, squashes, spinach and radishes. Their presence is clear if you happen to find wilted plants or yellowish quarter-of-an-inch insects on the root of the plants. The first thing you need to do is to actually stop the flies from laying their eggs near the seedlings: simply put plastic or paper shields about 4 inches in diameter near the plants. If the situation gets out of control, you’ll have no other option but to drench the soil in root maggot insecticide, but do so under the supervision of a professional. These tiny flying insects have a real craving for tomatoes, peppers, eggplants and sweet potatoes. They’re easy to spot as they’ll easily fly around from plant to plant if disturbed. 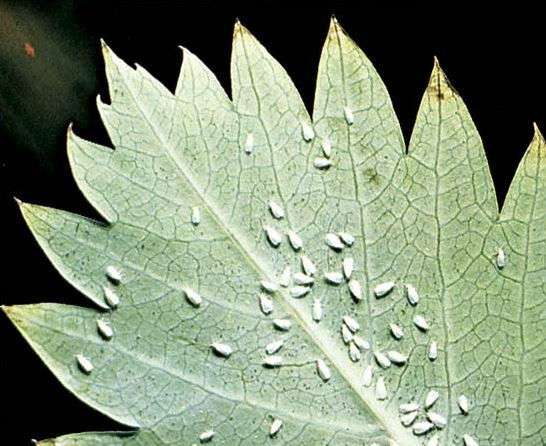 If in large numbers, they can cause serious damage to plants, because they’ll feed on the nutriments of the underside of the leaves. Light infestations can be easily dealt with by simply spraying neem oil or water. They’re not the fastest insects out there (possibly the slowest), but don’t get fooled: they can inflict serious damage to your tomato, carrot, lettuce and turnip crops. 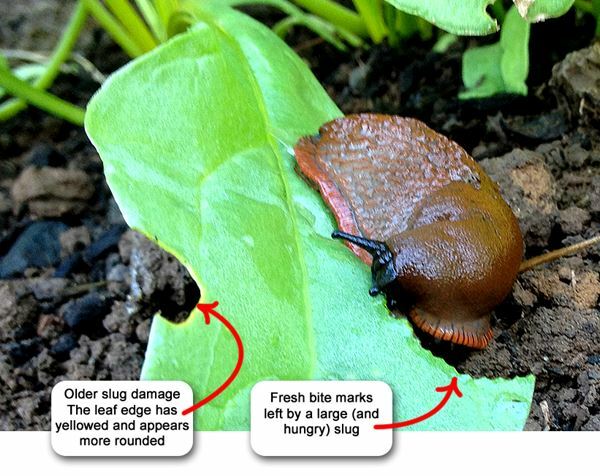 They are voracious eaters and if you happen to find irregular patterns of holes in the plant’s leaves or stems, doubled by slime trails leading from plants to plant, you’re dealing with slugs or snails (or both). During the day they rest under all sorts of debris, so removing them out of the way and keeping the garden as tidy as possible will keep you out of harm’s way. But if you’re dealing with an infestation, you’ll need more than just a tidied up area. You can simply attract and drown them in shallow pans of beer or special baits that are available on the market. They prefer melons, pumpkins, squashes and cucumbers. 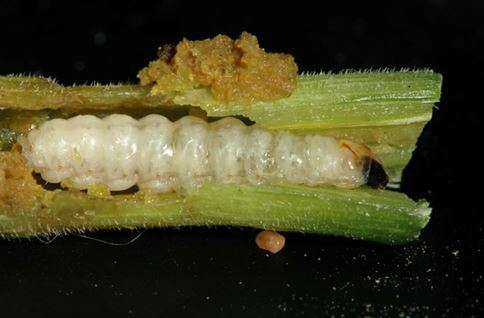 If you stumble across wilted plants or just wilted growth tips, then you might suspect you have a borer problem. And if you happen to spot small holes drilled in the plants (usually where wilting begins), then you know for sure you have a borer problem. 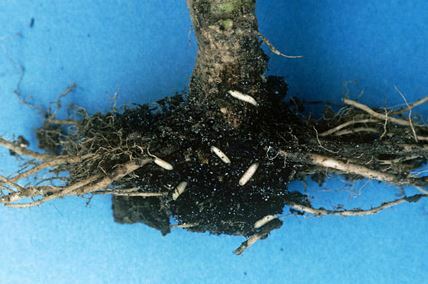 Plants can still be salvaged from borer infestations by simply cutting out the borer, but if they get to infest the base of the plant, it’s compromised and needs to be torn out. In order to avoid such an obnoxious parasite, spray the base of the plants with the right kinds of insecticide during late spring / early summer, but only under the supervision of a professional. There are many varieties of beetles out there and they can affect all sorts of crops imaginable. Beetles don’t need special methods when it comes to detection: they’re easy to spot as many are brightly colored and shiny, and they’re feeding methods leave irregular holes in the foliage. As they’re not that hard to catch, picking them by hand would be a cost-effective method if you’re dealing with a light infestation. In the case of heavy infestation, just spray the area with the appropriate insecticide, recommended by a qualified professional. Gophers don’t have very specific cravings, and go for everything they can get their tiny paws on. They’ll voraciously eat any sort of root they’ll stumble across in their underground tunnels. But they also eat the above-ground plant if not disturbed; the mostly prefer carrots, sweet potatoes, and peas. If left unattended they can ruin a whole garden in a matter of days. The most eco-friendly approach in dealing with your gopher problem would be to encourage the presence of birds of prey in the vicinity, by placing birdbaths or keeping the garden as tidy as possible so they’re easily spotted by the winged predators. But if the bird method seems a bit drastic, you could just let your dog or cat roam freely in the garden. 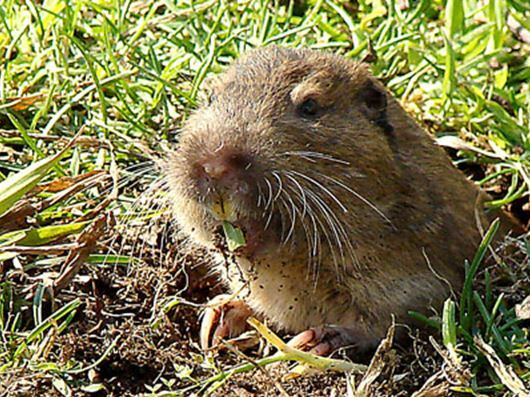 Gophers are easily scared and will behave if constantly pressured. Flooding their tunnels is also effective and easy to do. 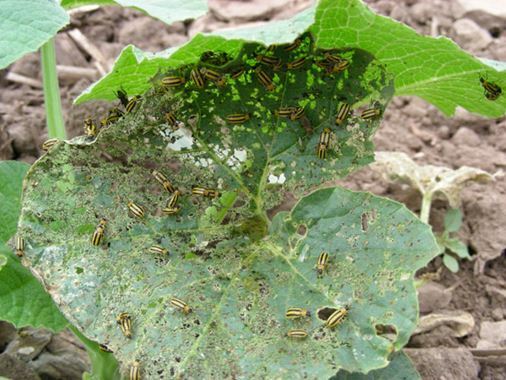 Dealing with garden pests is no easy task, but it’s not impossible either. There’s a solution to any sort of problem you might stumble upon and nothing can stop you to achieve your goals in survival gardening. But I strongly advise you to never deal with poisons and insecticides on your own, always consult a specialist in the matter before doing so. You not only risk damaging your garden, but also your health. Pest poisons and insecticides are very dangerous if not handled properly.